To baby or not to baby? That is the question! The question hubby and I have been discussing recently anyhow. You see, we’re not getting any younger and our three-year-old is SO ready for a sibling. But if you think having one kid is a responsibility, well, just the thought of having two kids makes me a nervous wreck! Babies don’t come to my husband and I very easily either. So, it’s not just having another child that leaves me slightly anxious, but the road to growing our family is a bit of an alternative route too. We can’t have biological children, so we adopted our little boy, and that’s the plan of action for baby number two! I love how I became a mom and the first time around we had a very smooth and positive adoption experience. The birds and the bees play no role in our baby “making” endeavours, nope, we do it a little differently in this home. BUT. What if things go wonky the second time? How long will we wait? And will I have to share my new child with birth parents (a selfish thought I know)? These are the musings that filter in and out of my mind lately, one minute I am overly excited at the idea of a new bundle, while the next fear of the unknown makes my heart beat slightly faster than it should. Despite our trepidations, which I think are normal for any couple who are considering growing their families, we know that we have space in our hearts for another child. We do not just want a brother or sister for our son, we want another little person to join our tribe and feel our love. This is the subtle reminder that I give myself each time doubt and fear sets in. It is this reminder that made me pick up the phone recently to set the very first appointment with our social worker. Yup, this time next week we will be meeting with our adoption social worker to start the process, for the second time. I truly thank God for sending this lovely and amazing woman our way. Not only does she seem to give us the exact counsel we need, but she has one priority and one priority only, to make sure that every child she meets has a loving family, parents who they can call their own. Placing orphaned or abandoned kids with adoptive parents is something she takes very seriously and she does what it takes to make sure the process is done correctly, for the children, and then for the parents involved. She has a heart of gold and I trust her with our “baby making” utterly and completely. So yes, in a few days you could say that we are “trying to make a baby”. Perhaps our baby is already in this world, I don’t know! I can only hope and pray that he or she is loved and cared for from the moment his or her eyes open. The next few months (maybe even years) will be an emotional rollercoaster for sure, but while our heads are full of worry, our hearts are ready to hold baby number two, and never let him or her go! While we are not making any big announcement to our friends and families just yet, although some of them do know we are about to start the adoption process, I am eager to share our new family adventure here on Steemit, you never know whose heart might open for adoption! While it comes with great loss for the children and often means a rocky start in their lives, it is a beautiful thing too, quite miraculous actually. I love that you have made the decision to grow your family. I have two children, both boys, and yes they are a handful -- but it also means twice the love and hugs!! I hope the adoption process goes smoothly as it did the first time for you. Thanks so much! Being a "boy mom" is super hard work, hats off to you! But you are right, the minute they wrap their sweet little arms around you, it's all worth it! Good luck @sweetpea. I believe that you will be blessed with another little one who needs a forever home and forever parents. Big families are a joy. Sometimes my three drives me crazy, but every hug and smile and little step makes me forget the crazy times. Eeek, three kiddies, well done on staying sane! Lol, I say that, but I would love to have three kids too! 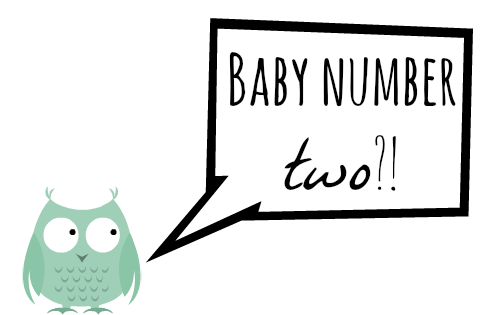 Let's see what happens, right now, our family is making room for number two, or who knows, could be twins! Yay! More babies to love. I wish you the best of luck on your journey. I hope it will be an easy one. Thanks rabbit, we hope so too, but I suppose whatever is meant to be will be. Starting to feel a tad nervous for our appointment next week, but excited too! I hope you will be blessed with a second little one in the very near future. Having little ones in the house is what makes it a home. That's so true, a home was never meant to be clean and quite, noise, mess and chaos makes a home! We have two boys and wish we could have more. It's great for the kids to grow up together. The other things you need are always provided for.